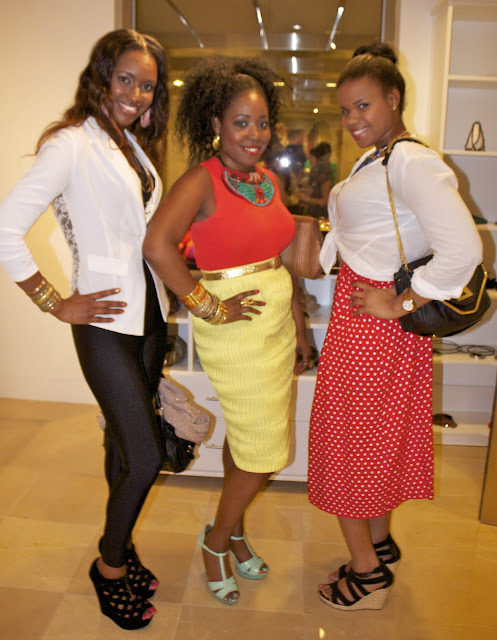 Hey dolls, check out the pics from last night's CapFABB meetup event. It was so nice meeting so many lovely DMV area bloggers. 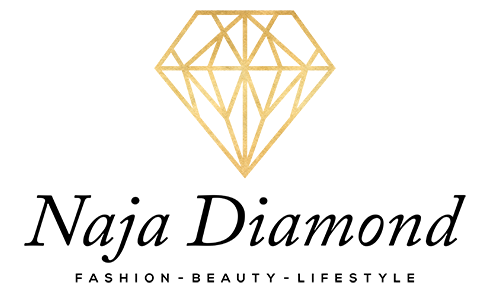 The blogging community here is great and I look forward to seeing more of these fabulous ladies! Thank you so much to the lovely Trisha for snapping these shots of me! Loved Melissa's arm sway and vintage Gucci. The colors, the textures...THAT NECKLACE!! Geesh Shella killed this look! Loved her blazer and cobalt blue shoes, you dolls know how I love cobalt blue! 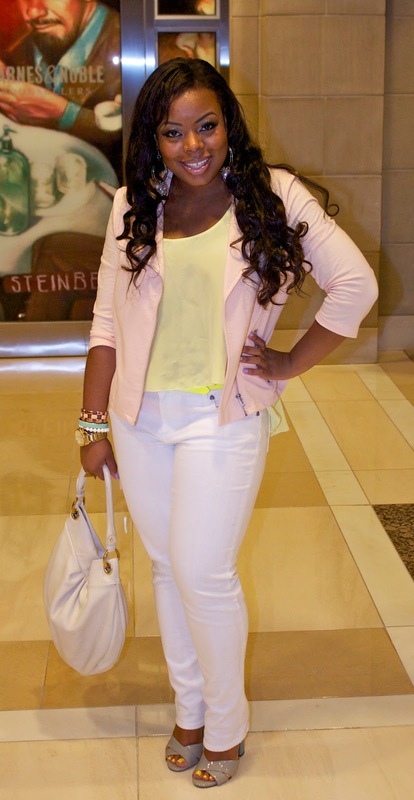 Loved Krystin's pink pastel ensemble, when I heard this piece was thrifted and reconstructed I fell in LOVE. The lovely Cortnie of StyleLust Pages and fellow SBOC nominee!! Vote for us HERE dolls! I'm loving all the bright colors here. 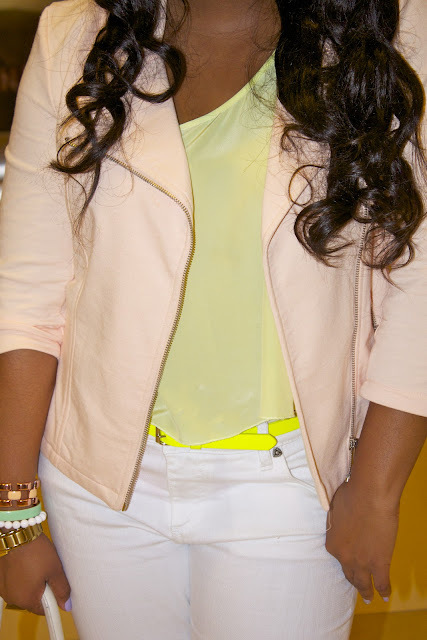 Pastels and neons are kind of my addiction these days now that spring is here and summer is approaching. You look fab as usual Naja and I'm loving your arm swag! beautiful and fashionable women ! Everyone looks lovely.You always look so fab. Naja, you are so fab girlie! 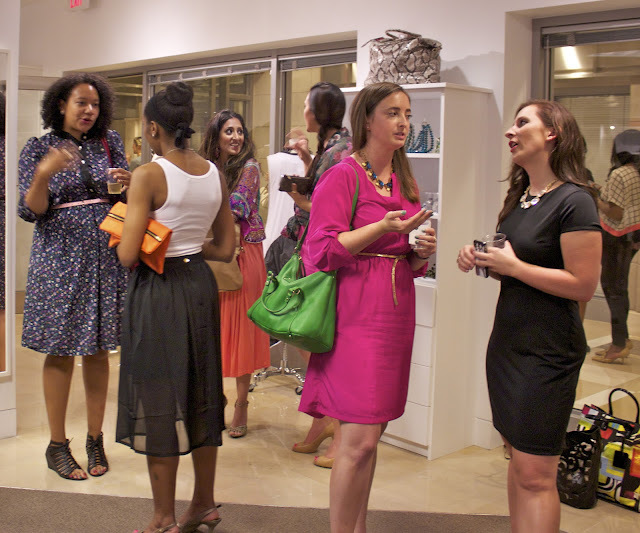 This looked like a great event and a whole lot of GREAT fashion in one place! Nice to say "hi" to you last night, though we didnt get to chat! 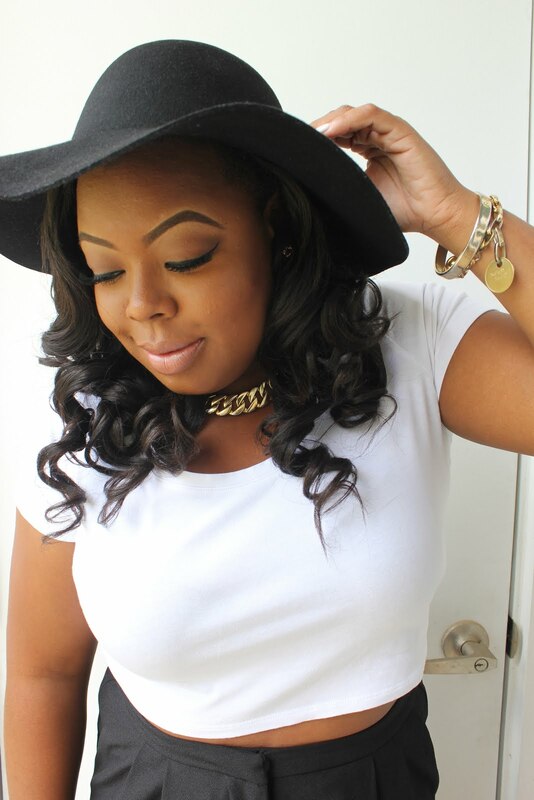 i just realized today that im following you on bloglovin! great recap!